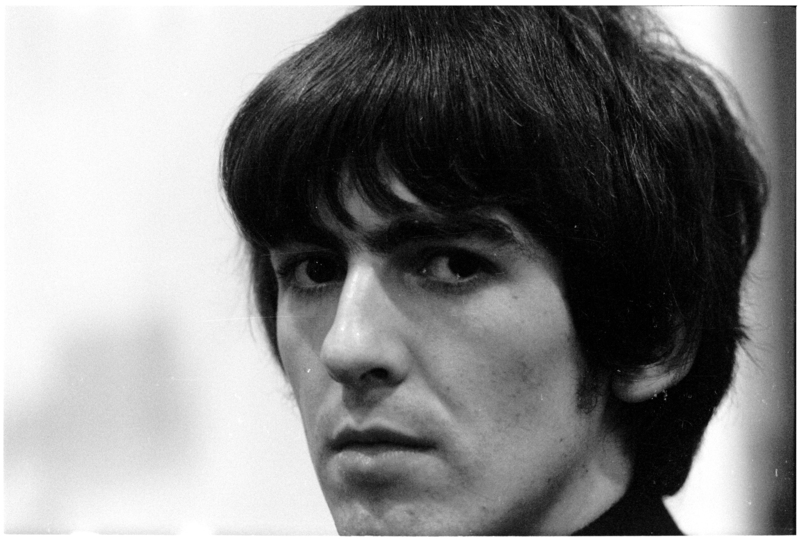 It’s often said that George Harrison was the “quiet” Beatle. He didn’t have the magnetism or the mercurial relationship of John and Paul, nor did he have the flamboyance of Ringo, but when it comes to the passions he pursued and the friendships he maintained throughout his life, George was anything but quiet. In fact, Martin Scorsese’s three and a half hour documentary posits that to the people he loved and to millions around the world, George’s example spoke the loudest of all. The film traces Harrison’s life from the 17 year old kid about to hit it to big to the inward-looking spiritual man he became, all the while examining the projects he undertook (musical, religious, philanthropic, cinematic) and his impact on those around him. From the beginning, we notice an intensity behind Harrison’s eyes as well as an aloofness that suggests that, even during the height of Beatlemania, his thoughts were elsewhere. Though the film’s most exciting archival material and most electric moments come during the Beatles phase, the film is about much more than the brief time he spent as a member of the world’s most popular band. Instead, Scorsese focuses on Harrison’s ever-evolving quest for enlightenment. The second part of the film narrows in on this unique and unpretentious brand of spirituality that Harrison developed over the years, but it also touches on the important ventures of his post-Beatles life: his first solo album, the benefit concert for Bangladesh, his venture as a film producer, The Traveling Wilburys and more. In fact, Harrison’s achievements are so vast and varied that it feels as though Scorsese merely checks them off along the way. More generally, the straightforward and linear editing of the film makes it challenging to connect the dots the way Scorsese intends. While he has some fun juxtaposing rocking snippets of music with contrasting visuals, there’s little of his stamp on the film. For example, the interviews are mostly strong and revealing, but it’s impossible not to notice that the voice asking the questions isn’t his own. What gives this away as a Scorsese picture, though, is his skill at unifying a person with his work. Scorsese clearly understands music, and, as we saw in The Last Waltz and No Direction Home, he’s not interested in extricating the subjects of his films from the towering presence of the music they created, but rather in exploring how and why this unique person made this unique music. Ultimately, Scorsese reveals Harrison to be a man dedicated to reaching for the sublime no matter wherever life took him. He kept himself surrounded with the ideas, beliefs and people that inspired him, but the film doesn’t claim he ever found the secret to life. He was no holy man, he was always just the little lad from Liverpool. His great success, though, was continuing to strive for something deeper in everything he did. Whether it was Indian mysticism, the powerful connections he felt through music or cultivating deep, loving relationships with his friends, George Harrison never gave up his quest to transcend living in the material world.